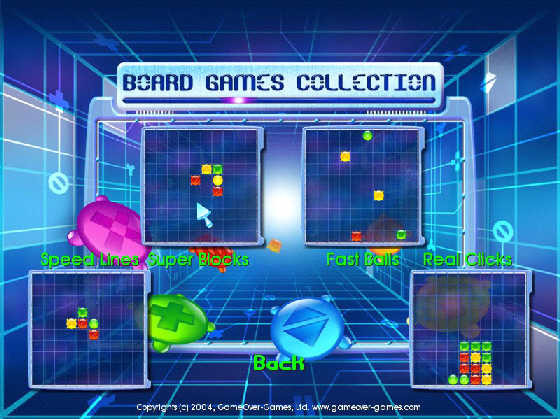 The game is a collection of four board games: Speed Lines, Super blocks, fast balls and real clicks ! board games collection release now! Board Games Collection The game is a collection of four games – Speed Lines, Super Blocks, Fast Balls and Real Clicks. The rules are based on removing certain amounts of chips from the board, depending on the rules of each game. The player gets bonus points and thus increases game level. Higher level means more bonus points and faster appearance of new chips. Besides, the player gets bonuses for removing chips – Clock, Bomb, Rainbow, Coin etc. Bonuses help the player by partially removing chips from the board. New chips appear constantly, and it makes the player take decisions faster than in the classical games of this genre. We suppose this may help you in the real life, making you more attentive and faster in response. CubIQ Game - New improved CubIQ - for an even more exciting foreplay. 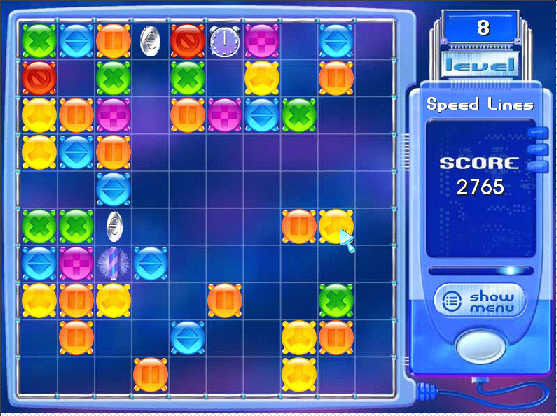 Cubis Gold Deluxe - A simple, highly charged, funny, arcade/puzzle Cubis Game. Download Cubis Gold and have a try Now!